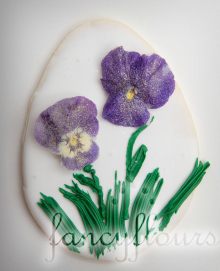 These adorable spring cookies can be made with a few simple items…available at fancyflours.com. 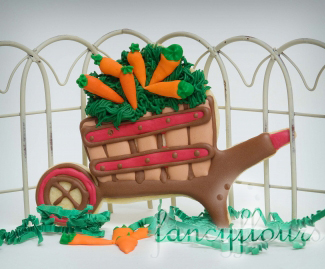 *For the first picture of the wheelbarrow we used the Pumpkin in Wheelbarrow cookie cutter shape and then transformed it into a carrot hauling wheelbarrow by affixing icing carrots with royal icing. Large Tip and Coupler Set with green royal icing. 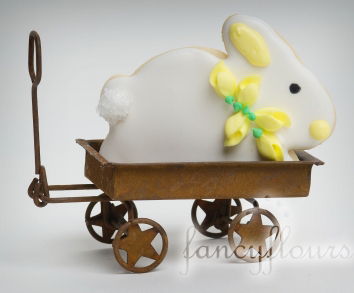 This entry was posted in Easter Treats, Spring Baking by Fancy Flours. Bookmark the permalink.